The UA Performance Mouthwear™ Mouthpiece and Mouthguard Launch Kit gives your practice the exclusivity to provide custom mouthwear to your patients. Only authorized providers can carry Under Armour custom Performance Mouthwear™. Just purchase and activate the Under Armour Performance Mouthwear™ Custom Launch Kit and your practice is automatically listed as an authorized provider on www.underarmour.com. 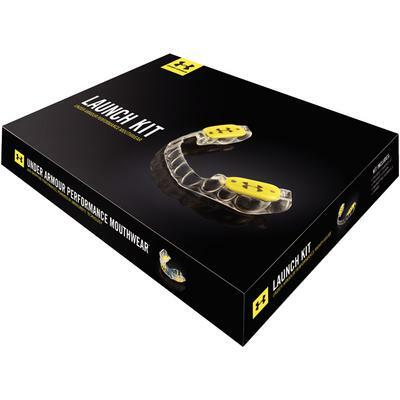 Launch Kit Includes: Display sample of UA Performance Mouthpiece and US Performance Mouthguard, 50 consumer tri-fold brochures, authorized provider certificate, authorized provider sticker, prescription forms, instructions and guidelines, free product coupon, flip chart and shipping boxes.